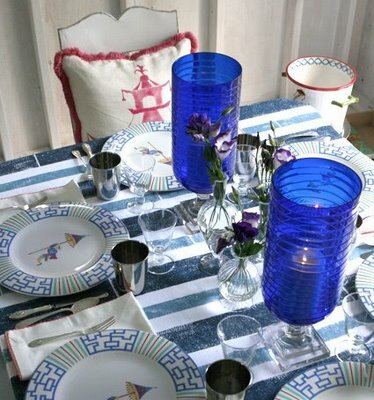 That's very pretty - I love the dinnerware! While the setting is lovely, I am just not feeling the tablecloth. What a beautiful combination of blues... trés chic dahhling!